Want checklists, but don’t have a lot of time to create them? 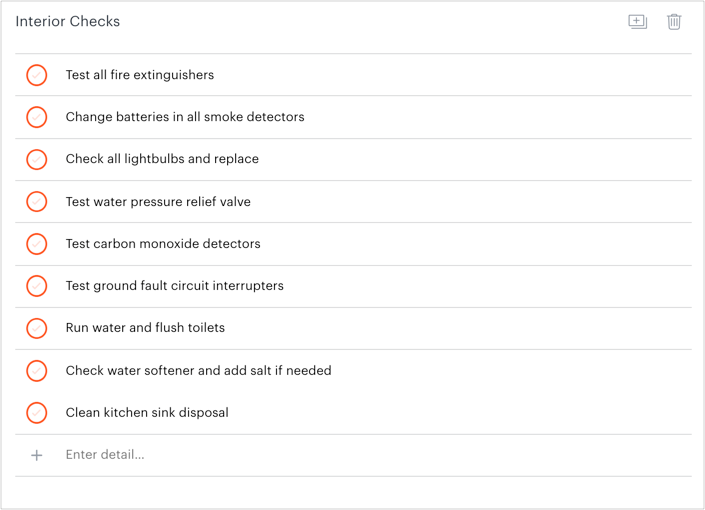 No problem - use our sample checklists to get started. “Sample: 6 Month Maintenance Checklist” is an example of the kinds of interior, exterior, and outdoor checks you might want to perform at your properties every six months. 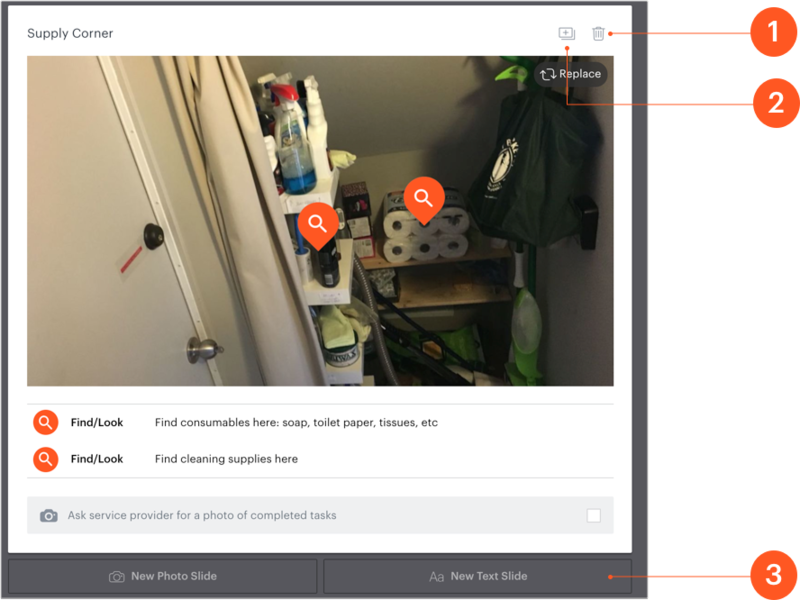 “Sample: Complex” is an extended visual checklist with detailed instructions on how to clean a property, while “Sample: Text Only” is a similarly in-depth checklist with text slides instead of visual ones. “Sample: Simple” is a much shorter overview checklist that would be best assigned to a service provider already experienced with your property and standards. You can change the title of the duplicate by editing the copy. Keep the original sample, though - you might want it to create checklists for other properties! Click on your copy of a sample checklist. You can now edit the sample checklist to match your standards. You can click on any text box to edit the text in the slide. 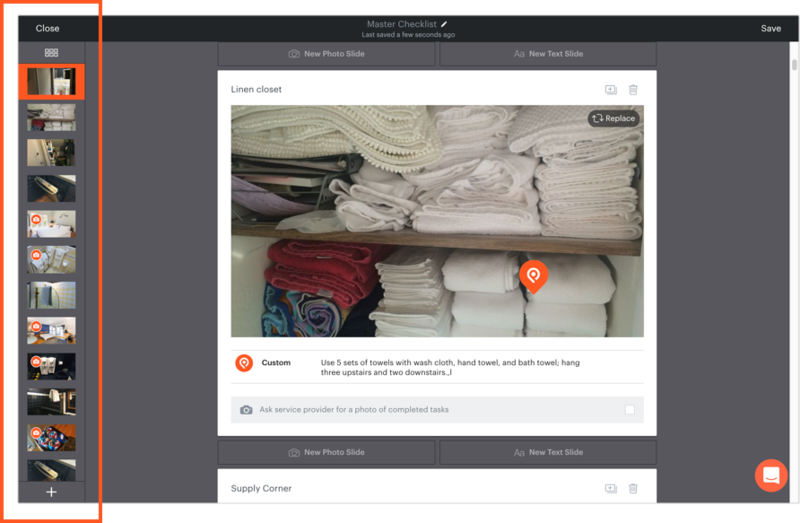 You can swap out the photo in a visual slide by clicking the “Replace” button in the upper right-hand corner of the photo. 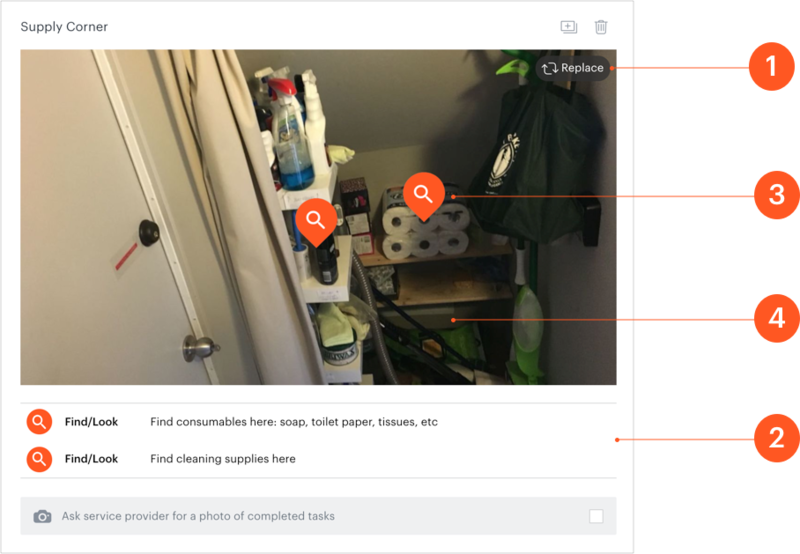 You can remove a task pin by clicking on it, and dragging it to the trash bin that appears at the top of the photo with “Remove” next to it. Add a new pin by clicking anywhere on the slide and selecting the appropriate task pin. You can also delete a slide, duplicate a slide, or add a new slide to any checklist. Delete a slide by clicking the trash bin in the upper right-hand corner of the slide. Duplicate a slide by clicking the + icon in the upper right-hand corner of the slide. 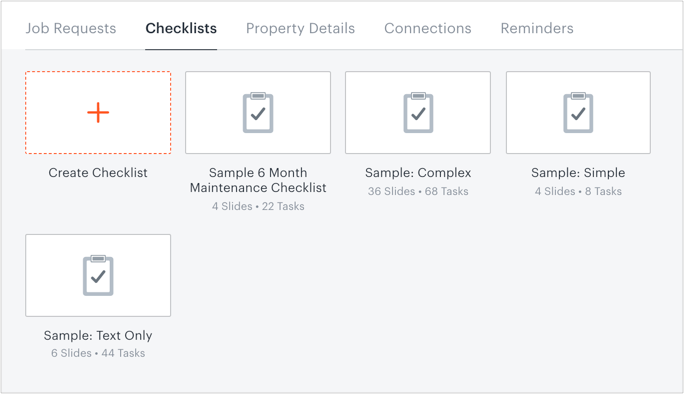 Add a new slide by navigating to the place in the checklist you want the slide to appear and clicking “New Photo Slide” for a visual slide, or “New Text Slide” to create written instructions in checklist format. Click and drag the slide in the lefthand sidebar to change the slide order. Save the checklist before you navigate away! 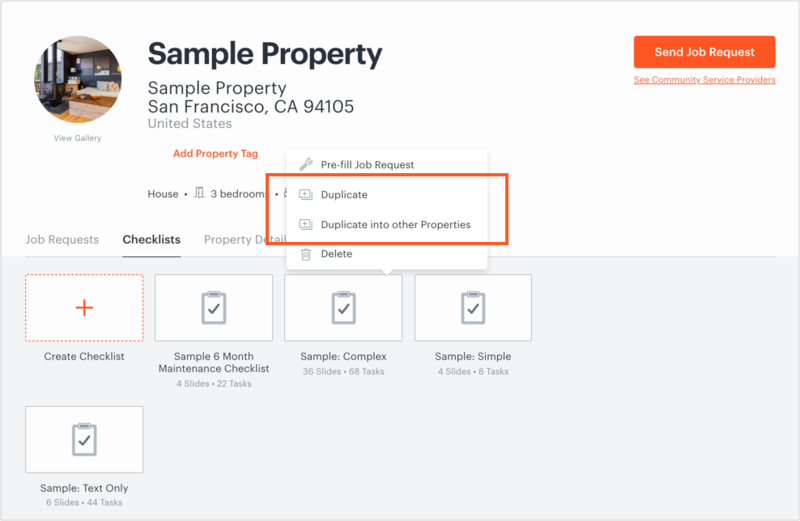 Once your checklist is completed, you can duplicate it to other properties, attach it to a job request, or set it as the default checklist for any property.